This article originally appeared on the Project Heal website. As an outpatient internal medicine physician who specializes in eating disorders, I think a lot about how to provide respectful, scientifically-sound, compassionate care to my patients of all ages, genders, and body sizes. Here is a list of six aspects of outpatient medical care that you can advocate for in the primary care office, if you have an eating disorder. 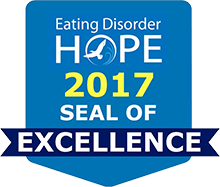 There are many medical problems that can emerge from eating disorders—some measurable, some not so much. Despite this fact, most medical practitioners get almost no training about eating disorders, size stigma, or other important social justice themes having to do with bodies. I didn’t! Even if your primary care practitioner—doctor, nurse practitioner, physician’s assistant, or other—doesn’t know much about eating disorders, finding someone who is willing to listen to you about these six key points can reduce harm, improve medical care, and help your recovery process. I want to acknowledge that not everyone can safely and comfortably advocate for themselves. Many individuals who don’t experience white/cis/hetero/thin/able privilege have a harder time speaking up in a system grounded in old power dynamics. There are no easy answers to this extremely important problem. I might suggest: bring this blog in to clinic with you and hand it over to your practitioner. Perhaps my words, coming from a place of expertise, can help start the conversation. I’ve been lucky enough to be in this field for over a decade, and I’m still learning new information all the time. This is my specialty, so I naturally try to stay fresh on the scientific literature relating to the medical complications of eating disorders. However, there’s a lot I still don’t know. It’s not uncommon for one of my patients to send me an article that appears to address their particular medical concern. I receive new information gratefully and assess the potential for it to be useful. These resources often introduce me to new ideas and new treatments. Primary care providers are busy folks, and the ones who are open to learning more about you and the complicated interplay of your physical and emotional health will be a better fit than the ones who aren’t open. Reading articles and books on the topic helps. (Shameless plug: my book Sick Enough: A Guide to the Medical Complications of Eating Disorders (Routledge) is due out in mid Fall 2018.) Learning from other members of the team who are eating disorder experts is a great resource as well. A release of information for your therapist, dietitian, psychiatrist, and any other outpatient providers you see regularly will allow for this kind of dialogue. Doctors should regard themselves non-hierarchically as an equal member of the outpatient treatment team. The only time your doctor needs to check your weight regularly is if you are being monitored for weight restoration or (in the case of children/adolescents) growth, or if one of your medications needs to be very specifically dosed according to weight. In these cases, weight should be checked “blind,” that is, without discussing the number. In all other cases, weight is not a necessary vital sign, and the fact of checking it—much less sharing that number, much less commenting on that number—can cause harm to those with eating disorders. The vast majority of individuals with eating disorders are not underweight. In fact, between 3-10 times more people have “atypical anorexia nervosa” (with all the body/food distortions, restriction, and other behaviors, but without the underweight) than have “typical” anorexia nervosa! Those with atypical anorexia nervosa and bulimia nervosa most often aren’t underweight and may deem themselves not “sick enough” for medical concern. Alas, some doctors contribute to this perspective. However, these patients still have at least double the death rates and far higher suicide rates compared with age-matched peers, while anorexia nervosa carries a 6-10 times morality rate. You cannot tell whether someone is healthy, or whether or not they have an eating disorder, just by looking at them (with the possible exception of people on the far ends of the weight spectrum). Medical professionals still don’t typically understand this, and a misguided focus on weight measurements remains a harmful and prevalent part of visiting the doctor. You have a right to refuse to be weighed. That’s true even for those covered by governmental insurance plans. The provider can just document “Declined,” and the visit will be reimbursed. Great communication amongst team members is a must for those with eating disorders. Each member of the team benefits from hearing updates from the other. That doesn’t mean your therapist will send a detailed report of your confidential conversation to your dietitian and your doctor, but it does mean that if the therapist feels like things are going in a medically dangerous direction, they can ask the doctor to see you urgently and assess you. It does mean that if your doctor sees your vital signs or lab work or medical symptoms worsening, they can ask your dietitian how things are going with your meal plan. This kind of warm, supportive, and collegial communication forms a safety net around your recovery work. It also reduces splitting, where the eating disorder can’t resist telling a different version of the story to different team members, often trying to get its own needs met by defying recovery work. Patients with eating disorders often need longer medical encounters to share the complicated relationship between emotional and physical issues that comprises their medical symptoms. Ideally, a medical practice would be willing to schedule you for a longer session so that there is time to communicate what’s happening with your body. Some practices are unwilling to see patients with eating disorders for just this reason: “They take up too much time.” I assure you, you don’t want to be a part of a practice that feels that way anyway! Find one where you feel known and seen as a whole person, and they have structured the doctor’s time so that they can talk with your team, talk with you, and offer an unrushed and thoughtful experience. Unfortunately, all of us have internalized size bias. That means we have all grown up in a society that bombards us with the message that thinness means healthiness/worthiness. We all are at risk for imposing that perspective on ourselves and others. Doctors have historically caused harm to patients as a result of acting on our unaddressed internalized size bias. The medical truth is that people in a wide range of body sizes and shapes can be medically healthy. Too often, medical providers have not taken the opportunity to evaluate their internalized biases in order to challenge how we talk about bodies and food with patients. Thus, a well-meaning doctor often encourages a patient in a larger body to engage in the same behaviors (in the name of losing weight “to get healthy”) that would be considered eating-disordered in someone else! Not only do such weight-loss tips not work, they can cause harm. That holds true for someone with an eating disorder and someone without one. I am a staunch practitioner of the Health at Every Size® (or HAES®) philosophy, which celebrates body diversity, encourages eating and moving for joy and satisfaction within one’s ability and interest, and encourages patients to seek out appropriate health care. Social justice awareness permeates HAES. Medically, I never recommend weight loss strategies for any of my patients. I work to challenge my own internalized size bias and the ways it might cause harm. My experience is that my patients in larger bodies experience remarkable improvements in their medical health through HAES work. A provider who is worthy of you will respond with curiosity and openness to learning about HAES. Finally, medical providers who take the best care of individuals with eating disorders know how to hold boundaries. Eating disorders are mental illnesses that can come with significant medical problems. A good doctor will not try to “play” therapist or dietitian but will work within their scope of practice and defer other topics to the other team members. A good medical clinician will clearly establish how and when they can be contacted and what to do when they will be unavailable. Blurring these lines can lead to confusion or feelings of rejection on the part of the patient, and burnout and frustration on the part of the professional. Good medical care can really help the process of recovery from an eating disorder. A multidisciplinary team working together can make a big difference. I hope these tips help empower you to find and work productively with a medical practitioner who is compassionate, open, and kind.